Yesterday (December 4th), Kid Cudi released his fifth studio album Speedin’ Bullet To Heaven. Kid Cudi, as we all know, is responsible for rap jams such as Day N Nite, Erase Me and Make Her Say, as well as other pop collaborations such as Memories with David Guetta, or Steve Aoki’s remix of Pursuit of Happiness. For those die-hard Cudder fans who’ve been monitoring his musical output like a hawk, you’d be pretty confident on how Speeding’ Bullet To Heaven would pan out. WZRD was the beginning of Cudi’s newfound musical direction into alternative rock, this continued onto Indicud, with influences of rock crossed with hip-hop, Satellite Flight then continued this. As mentioned, Kid Cudi’s latest project was pretty much written in the stars already, and it was pretty clear how it would all pan out. 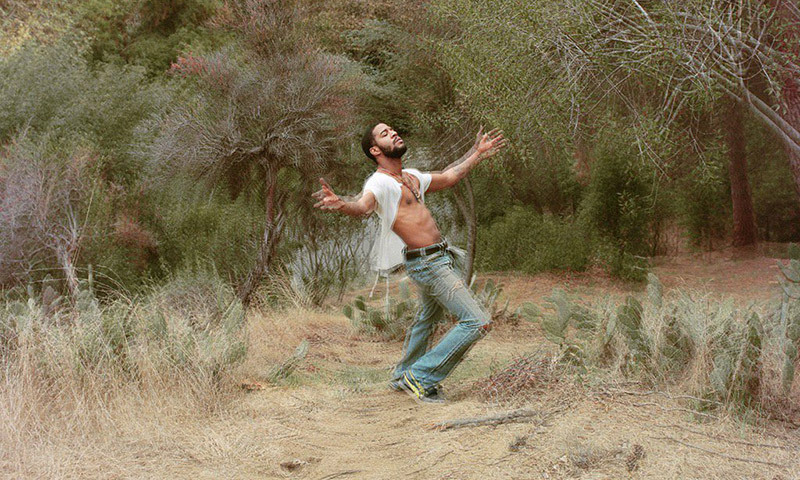 Speedin’ Bullet To Heaven replaces any element of hip-hop with an isolated drum pattern or an 80s electro riff, with Cudi’s raps nowhere to be found on this self-proclaimed ‘alternative’ album. The formula and structure of each song is unchallenging and predictable, with barely a spike in variation appearing across the hour-and-a-half/26-track dirge. The content and lyrics of Speedin’ Bullet To Heaven are lost in the droning murmurs of Cudi’s hate-filled groans, no more epitomised by the utterly begrudging Trauma. And that’s really where my biggest criticisms lie- in Cudi’s monotonous vocalisations, and the album is filled with them. Take Handle With Care, one of the few blips of quality on the LP- after being vocalised over with ‘mms’ and ‘eurghs’, it was soon dragged into the misery that is Speedin’ Bullet To Heaven. It pains me to say it as such a big Kid Cudi fan, but this was one of the only occasions of positivity in such a laboured raincloud of tedium. Unfortunately, Speedin’ Bullet To Heaven is exactly what I knew it would be; a dreary experimental bore built on twangs of electric guitar, nowhere production, and spiritless vocal accompaniment. Haunting, dread-filled tracks like The Nothing do nothing but unsettle and fatigue, while crowded, brash barrages of noise in the form of Seance Chaos simply leave you bewildered. The fact that this repetitive drone of something Cudi likens to ‘alternative’ music goes for an hour and a half, is just naive. Like this review? Be sure to keep up to date with all things The West Review over on our Twitter page.